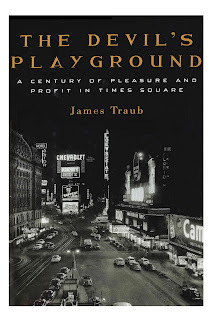 In James Traub's 2004 book, The Devil's Playground: A Century of Pleasure and Profit in Times Square, the author describes (on p. 189) a memorable interview with Bruce Ratner, "the developer responsible for Madame Tussaud's and Applebee's." 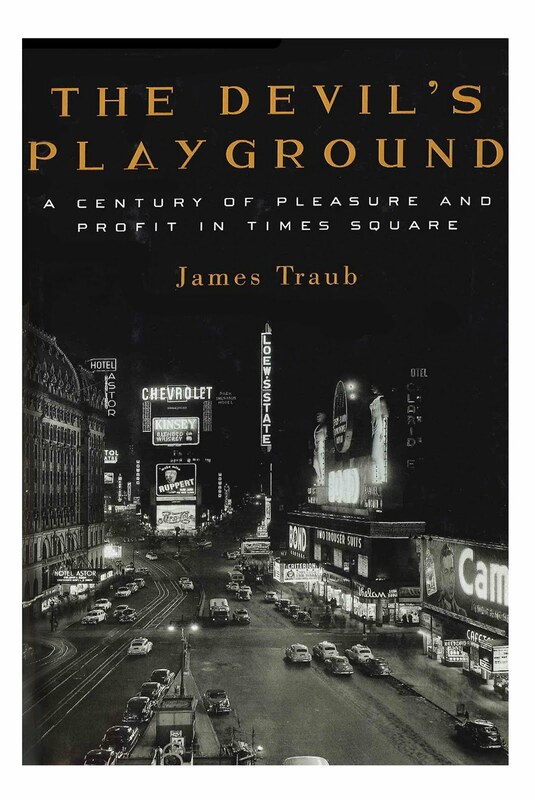 Ratner, Traub suggests, "is not a native New Yorker with a New Yorker's possessiveness over the city's past," and observes his subject justifying his decisions. Ratner's implicit point was that 42nd Street was being true to its own past precisely by virtue of being dominated by McDonald's and the ESPN Zone. Forth-second Street was the home of popular entertainment, and in our own time mass culture is produced by giant companies. The elite can afford the local and the particular; ordinary folks consume less expensive, franchised products. And so a "corporate" 42nd Street was a democratic 42nd Street. Ratner's aides were now chuckling with some embarrassment at the boss's swelling oratory, but he plunged on, the bit between his teeth. "It's always been a place to go out for the lower-middle-income New Yorker. You go out on a Saturday night, and it's basically people of low-middle-income means, from the boroughs, from New Jersey, from Long Island, out for a date. If you think about all the great streets in the world, it's about seeing people from that culture. And it does that. And you know what? Maybe, at the end of the day, that's what a successful street is. Should it be Applebee's or should it be someplace else? Who knows? It's a great place." The scene is quite plausible, as Ratner, in interviews, can start to babble. A great street is not simply about seeing people. As Danish urban planner Jan Gehl (and consultant to the New York City Department of Transportation) has observed, according to Streetsblog, such a street invites pedestrians, cyclists, and transit users, without letting cars hold sway. Ratner surely has learned, and will include some local Brooklyn businesses in the Barclays Center, but it, like his company's malls, will rely on major corporations. That's kind of a shrug, isn't it? And, if you can grant some slack to 42nd Street planners because of the area's parlous nature, what to make of the opportunity to do much better in Brooklyn?